In this episode of the profit, Marcus Lemonis goes down south to meet Shuler’s BBQ. 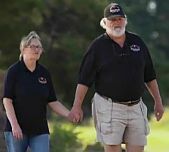 A Latta South Carolina based all-you-can-eat barbecue buffet run by married couple Lynn and Norton Hughes. The name Shuler is, however, is of their adopted son and this is the legacy Norton and Lynn want to leave. Shuler’s BBQ serves Authentic South Carolina ribs, pulled pork and chicken. It has become a kind of the Mecca down south for all kinds of barbecue lovers. It attracts a lot of clientele who drive from very far in some cases just to sample its southern home-made cooking. Marcus sees huge potential for growth especially since the barbecue restaurant doesn’t lack the clientele. Marcus is also very impressed with Shuler’s BBQ’s signature “little biscuit” and he immediately sees an opportunity to take this nationwide. The business is profitable and generating a very comfortable life or its owners so Marcus just doesn’t understand why he was called. Enter Lynn’s creepy brother-in-law Ewell. This is where the story gets interesting. Ewell is supposed to be the marketing genius that wants to have a part of the business. He sees the massive opportunity to cash in on the hard work already done by Lynn and Norton. Looks like Ewell made a couple of Facebook promotions and believes he is now marketing guru that deserves part of the business. Marcus just doesn’t see the need for extra marketing when there is already a line of clients waiting to eat. He wants to build out the infrastructure to be able to accommodate all of the clients whose needs Shuler’s is currently struggling to meet. Ewell laughs about not being able to cook and yet wants a part of a restaurant business. This stuff is not even funny. It simply the case of someone smelling free money like a rat smells cheese. If you think the planet popcorn episode had creepy characters, this episode blows it out of the water with Ewell. Marcus tried to give a chance to Ewell by having him help out in the business as a manager/partner. Ewell, however, didn’t want to do this. He wants to make a salary of over USD200,000 between him and his wife, but not do the work. This just can’t happen, not on Marcus’s watch. Norton knows this and is sceptical Ewell’s real intentions are good. He’s just going along with this because Ewell is the husband to his wife’s sister and so he can just kick him out and hurt his wife Lynn. So Marcus sits down with Lynn, Norton and Ewell to discuss a deal. 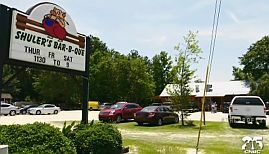 Marcus wants to build up the location to become a real attraction for all those looking for the highest quality barbecue in the area. He offers to put in USD500,000 for 40% of the business. to build a deck on the back of the restaurant to sit the overflow traffic. Marcus, however, wants to be reassured that the property on which the restaurant sits is part of the deal. Marcus also wants the distribution rights for the Shuler’s BBQ little biscuits which he plans to expand across the nation. As always Marcus needs a hundred per cent control of the business while he makes his changes. He believes that with his help, Lynn and Norton will finally be able to leave a really successful business to their son Shuler. The family agrees to Marcus’s deal and the partnership begins. Optimise the payment process to get rid of the long waiting lines. Set up credit card payment processing and add another register. Marcus brings in his partner baker Kenny to help formulate a version of Shuler’s BBQ biscuits for the mass market. Though Lynn is not too happy about how the basic recipe will change, she goes along with the process. Marcus goes on to make a deal with a butcher to get Shuler’s BBQ’s meat at a cheaper cost and this will go a long way to helping carve out more profits from the gross revenue. Plans are made to build the store for the Shuler’s BBQ’s products and expand the deck which quickly materializes and looks beautiful. The new deck space at the back of the restaurant will guarantee expansion for the business. 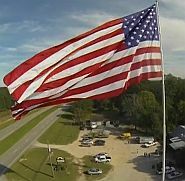 Let’s not forget this is the South and this is America, so Marcus builds a giant 130-foot American flag that can be seen for miles. This will become part of the attraction of the Shuler’s BBQ brand. The biggest victory for Shuler’s BBQ, however, was when Ewell abandoned his plans to come to be a part of the business. Hiring a family member is already a very delicate situation. 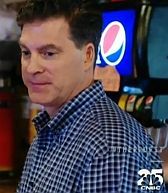 Shuler’s BBQ dodged a bullet and got rid of a family member that wasn’t even motivated to help the business in its day-to-day activities. Finally, Marcus rewards the couple and Shuler with a trip to New York where he invites them to the grand reopening of Marcus’ Crumbs Bake Shop. He has a little surprise for Lynn and she is ecstatic when she sees her biscuits along with her watermelon cupcakes on the shelves of the store. The biscuits will be in all 26 Crumbs Bake Shop stores as well as in major grocery stores. This will not just be another revenue stream, it will also be a huge marketing strategy to bring back people to the Shuler’s BBQ restaurant in South Carolina. Shuler’s BBQ’s future looks very bright and the dreams of Norton and Lynn to leave a thriving business for their son Shuler is taking shape. So there you go. Another exciting episode of the profit comes to an end with a successful investment in a good family business. We wish Shuler’s BBQ all the best. I would like to know where I can get either a watermelon cake or some watermelon cupcakes. I live in Myrtle Beach,SC. At the end of the show, they were being sold in a bakery called Crumbs. I don’t know their locations. Have you tried contacting Shuler’s BBQ to see if they have an online business? Come to Shuler’s! I’m a waitress there and if you live in Myrtle Beach you’re only an hour away! I live in Texas, please view my website regarding placing my handcrafted “Mimiloves Bears”. In my area, “The Butterchurn” is an “all you can eat” restaurant, they have purchased almost $10,000 worth of my bears this past 12 months. I created them a “logo” bear to sell in their general store . They order approximately 30 bears per month. Perhaps Shuler’s would allow me to send a prototype and pricing . Better yet, perhaps I could bring a few of my bears and together we could create specific bears for your restaurant. Please contact me or refer me to whomever would be helpful or interested. I’m so glad the Shuler’s cut ties with Ewell because it was clear he didn’t have any managerial skills from day one. He kept talking like he was a marketing guru by putting a few things on facebook. And he told Marcus he wanted an annual salary for him and his wife of $200K. Really? The Shuler’s are so much better off without him involved in their business. Hope Lynn and Norton have continued success. They truly believe in Marcus’s vision…. Still hoping that I can get Lynn’s Watermelon Cake sent to me! Are you still open for business? We’d like to come Saturday next week. This was such a heartwarming episode. The Schular BBQ episode could’ve also been called “The Berenstein Bears Adventures with The Profit”. It’s interesting how the story unfolded where Marcus peeled back the layers to reveal the core of what needed to be fixed in the business as well as with the relationship with Ewell. In the end everything worked out with the business thriving and Ewell scrambling for another opportunity elsewhere. Could I please get a copy of the Watermelon cake recipe? Just celebrated my recent birthday with a dear friend. What a pleasant surprise. We met the owner. Will go back and take others. I love Shuler’s. They catered my wedding and the food was nearly gone before we even got to the reception hall. I’ve met the owner several times and he is just a super nice laid back kind of guy and these are the kind of people I love to see succeed in business. making me think I’ll go next week! Luv The Profit & watching the waterside patio being added. I’m going to Myrtle Beach in July can’t wait to try the BBQ on the deck & visit the new General Store! Can I get the watermelon cake there to bring home to Vero Beach, FL? OK. So what happened to the building of a new store? Do you have any fish on the menu, Wednesday starts lent and we cannot eat meat on Friday. We are coming with a group Friday . We are on our way driving from Tampa FL to try out your delicious looking food and great looking atmosphere! I know we will not be disappointed at all !! We hope to figure out how to bring back to FL some of that mouth watering food and desserts ! Honey, Are we there yet ? Hope to see you all soon ! !